Mi Serenata Tango is based in Sydney NSW Australia and we are actively involved in building bridges with our fellow tangueros and instructors both inter-state and internationally, specifically Asia and Argentina. We have brought many of the finest to our tango community, in a cultural environment far more personal than has previously been experienced in our community. Tango Argentino is in essence a personal and cultural phenomenon, and we will take you closer to the milonga halls of Buenos Aires. We provide a relaxed and intimate social setting to make you feel at home, meet new friends, and enjoy the atmosphere. We hope Mi Serenata Tango will become the highlight of your week! Learn to dance the Argentine Tango with accredited and experienced teachers Sabrina Elias & Raffaele Capasso. Clear, personable, relaxed and above all highly professional teaching. We are experienced, qualified teachers and musicians and have received accreditation with the legendary Argentine tango maestros, Miguel Zotto and Daiana Guspero. 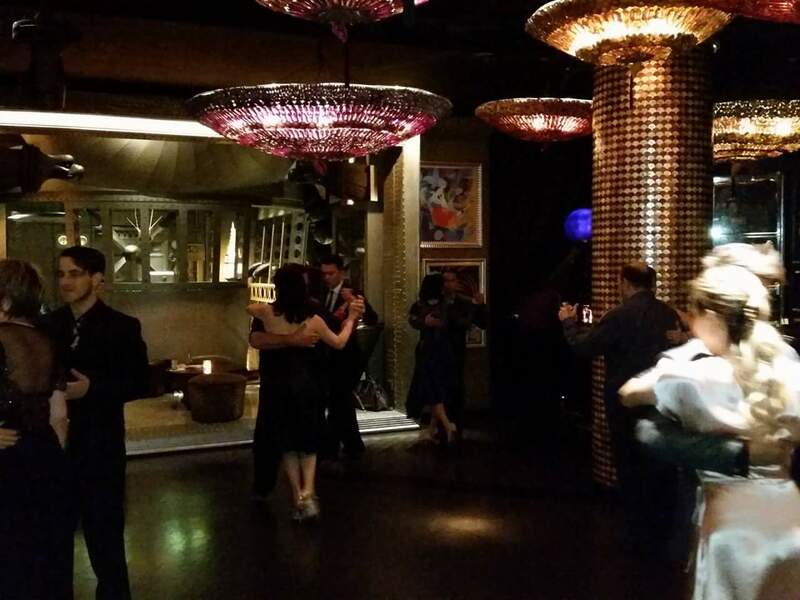 Our classes in Sydney provides a personalised and relaxed environment for our students to learn the Argentine Tango. Teach in the style of Buenos Aires both in Perth and in Sydney. We teach you to dance with your heart and show you the soul of Argentine tango. Were the only accredited tango school in Perth, Western Australia. Graduate with good techniques, foundations, styling and a deeper understanding and appreciation of Argentine Tango. Our students are taught musicality and learn to interpret and improvise to the piece of music. Our newsletters will keep you updated on all the latest exciting Tango news, upcoming events, workshops & performances. We’ve compiled a big list of answers to questions that we get asked most often relating to our Tango lessons & Milongas. The quickest way to learn more about Mi Serenata Tango is to take a look at photos & videos from our Gala Milongas, events and workshops. Why not have a listen to some of the music that inspires us, too! My partner and I had private lessons with Sabrina and Raffa for our wedding dance. Over the year of lessons, we got to know both Sabrina and Raffa very well. They are truly the most kind, hearted, giving people and wonderful dancers! In the lead up to the wedding, they helped us perfect our technique and dance with passion and confidence. Not at all being familar with Tango before our lessons, it was a miracle that we were able to do a wedding dance that was so beautiful. Sabrina and Raffa helped us select our music and it was just perfect for us. I would recommend Sabrina and Raffa for private dancing lessons for a wedding dance, or another special event. No matter how bad you think you are they will show great patience and support during the lessons. We truly enjoyed ourselves and looking at the photos from the wedding dance brings back such fond memories. Mi Serenata Tango will periodically update you via email with exciting Tango news, upcoming events, workshops and performances. Don’t miss out! Mi Serenata Tango was founded by Sabrina Elias and is hosted by Raffaele (Raffa) Capasso and Sabrina Elias. It is now based in their home state, Sydney, NSW Australia and shall resume their private and group lessons over the next few months. Mi Serenata Tango is APRA | AMCOS licensed. © 2012-2019 Mi Serenata Tango. All Rights Reserved.